R.G. “Bill” Clark, age 91, passed away on March 16, 2019. He was born in Magnolia Springs, TX on February 29, 1928 to Robert Griffin Clark and Mary Jean Willy Clark. Possessing a profound knowledge base and keen opinion, Bill had a sharp mind his entire life. Often expressing his insight in conversation, he liked to talk and visit with friends. He would reliably provide information on many topics to those around him when needed, and occasionally even when it was not requested, saying often “I know a thing or two about that”. Bill never lost an argument, and many quickly found that he did his homework. He could remember names, people and places, never forgetting someone he met. Helpful and caring, when Bill saw a need, he was there. As a young man working at Barton Oil Co. in Beaumont, he always noticed a pretty girl riding with her aunt and uncle in the back seat to church, though he was too shy to ask her out. A few years later, he met that same young lady on a street in Jasper, and overcoming his shyness, they started their lives together. After marrying in May of 1955, Bill and “Mack” spent nearly 60 years by each other’s side. During Maxine’s struggle with Alzheimer’s in her last years, Bill was unwaveringly devoted to the love of his life; learning to cook and shop for groceries, he took care of all her needs. He was saved in 1974 and was very loyal to his churches he attended: Amelia Baptist Church, Magnolia Springs Missionary Baptist and most recently, Zion Hill Missionary Baptist. An avid gospel music fan, he attended music schools and travelled to singing conventions across the South. Bill was not the best singer but tried and loved to sing. He enjoyed fishing, spending many years at the lake after his retirement from his 40-year career as a crane operator. Bill’s passion for the things and people that he loved will be fondly remembered his those he leaves behind. 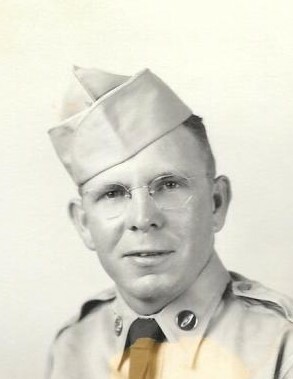 Left to honor his memory is his brother, Bo Clark and wife, Jackie, of Kountze, TX; sisters, Betty Bass of Beaumont, TX and Sarah Kieschnick of Nederland, TX; brother-in-law, Marshall Ferguson and wife, Sue, of Bleakwood, TX; and numerous nieces, nephews and friends. Bill is preceded in death by his beloved, Maxine Clark; parents; and sisters, Helen Stone and Ann Phelps. Visitation with family and friends will be 5:00 to 7:00 p.m., Monday, March 18, 2019, at Forest Oaks Funeral Home, 601 W. Gibson St, Jasper, TX 75951. Bill’s life honoring service will be at 10:00 a.m., at Magnolia Springs Cemetery, FM 1005, Magnolia Springs, TX 75956, with Bro. Wes Wright officiating.